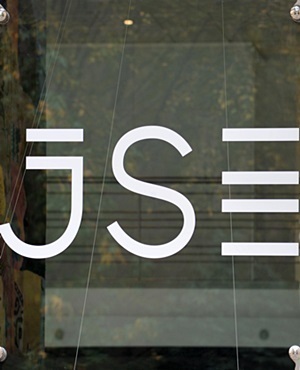 CEO of the Johannesburg Stock Exchange Nicky Newton-King has warned of the effects of policy uncertainty on foreign investor sentiment, saying it would be a "brave investor" who made a long-term decision to invest in SA without a clear path forward. Speaking at a panel discussion at Business Unity SA's economic indaba on Tuesday, Newton-King said some of the rhetoric and noise around the upcoming elections was "enigmatic" to long-term investors. "We are contesting these ideas as country, for completely legitimate reasons, and they [politicians] are going to contest them in even more extreme language as we run-up to the elections," Newton-King said. Policy uncertainty would have a greater impact than plans for expropriation without compensation, she added. "What they [investors] are very worried about is our general propensity as a country to be long on discussion in policy and long on various forms of policy, but very short on execution and very short on coherence between policies." "So it’s going to be a brave investor that will be making these long-term decisions, while we have not grasped these mettles," the CEO of Africa’s largest exchange commented. The country’s sixth general elections are expected to be held in May, on a date yet to be announced. The ANC’s manifesto earlier in January sparked concerns by some sectors of the business community over plans to expand the mandate of the Reserve Bank and prescribe assets for pension funds to invest in government’s infrastructure programme. "I think it’s very noisy at the moment ... we are doing all the rights things in unpacking incidents of alleged corruption. "We’re doing all the right things in trying to identify policy directions we’d like to take, and as we get into the election cycle, I’m expecting that noise will become far more at the extremes as people position themselves to their voters," Newton-King said. She said it was important for South Africa to realise the country is in an election cycle, and "the things that matter most in this country are on track." Newton-King has formed part of the investor roadshows for the last five years, following budget speeches with the minister of finance, business and trade union representatives. "Without fail, they comment how unusual it is to have delegations like that going to talk about their country," she told Fin24. Ramaphosa admitted to the indaba that policy certainty was government's "Achilles heel" and policies has been created "on the hoof" in aid of certain interests in previous years. He promised that his administration was trying to address this, and asked business to speak out strongly when the sector felt economic growth was being inhibited. Ramaphosa has set a target to attract R1.2trn in domestic and foreign investment by 2023.